Dominant, this beautiful villa of 300m 2 boasts a magnificent sea view of 180 o on the Gulf of Saint-Tropez, the Alps and the Maures hills. It has a beautiful entrance, double reception room with sea view, open kitchen with access to terrace, bathroom and guest cloakroom consists. Upstairs 2 suites with bathroom and toilet each. In ground pool, 3 suites each with bathroom and toilet. Several terraces of stone or teak, always heated infinity pool in the sun. Materials and high quality finishes, Bose sound, alarm, automatic gate, automatic watering .. Fully equipped kitchen, sold furnished and decorated. 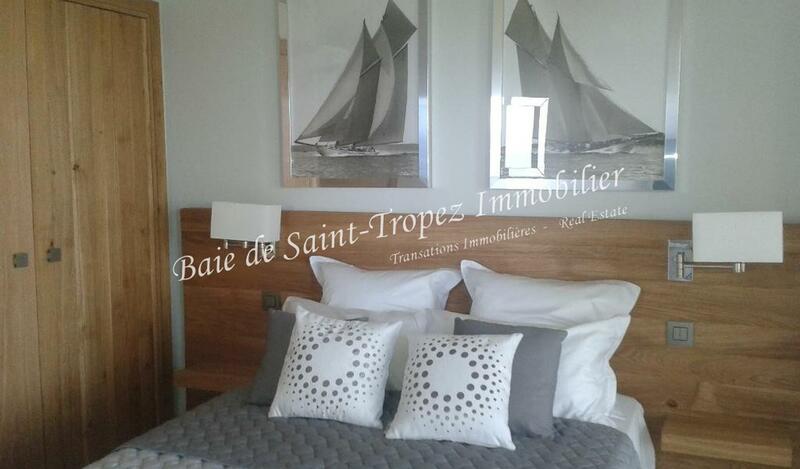 2km from Saint-Tropez, quiet and with access to beaches without traffic jams. May / October: 7500 ? / week with 4 hours of cleaning / week. June / September: 9375 ? / week with 4 hours of cleaning / week. 1 to 15 July: 12500 ? / week with 4 hours of cleaning / week. 15 July to 31 August: 18500 ? / week with 4 hours of cleaning / week.